"Your Best Criminal Defense" Headquartered in Toronto. 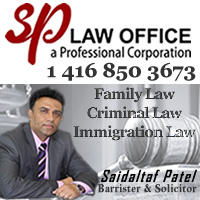 Lawyers proudly serving Toronto, Oshawa, Newmarket, Milton, Hamilton, the Golden Horseshoe and surrounding area. Hicks Block Adams LLP is presently comprised of 22 lawyers, 4 articling students and numerous support staff. Please contact Hicks Adams LLP at Hicks Adam LLP to learn more about areas of services offered!